I walked into Eileen's and saw no strawberry cheesecakes. My face fell as I contemplated the alternatives. On a whim I asked the girl behind the counter if she might have any more hidden away. She said, oh no problem, I'll just make you one. So she took a plain cheesecake, walked back to the kitchen, plopped a fresh strawberry down with a dollop of sugary syrup and presto! 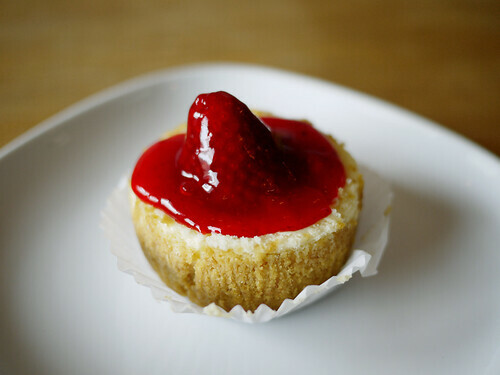 Strawberry cheesecake. Awesome.